Dark chocolate can be considered a health food, in moderation. Cacao is the name for the beans of the Theobromas cacao tree, which grows in tropical climates worldwide. Cacao was once a spicy, astringent drink for Mayan and Aztec rulers. Europeans added sugar to the bitter beans, and chocolate candy was invented. Real chocolate, not the milk-and-sugar-adulterated sweet, has a high percentage of cacao solids and fat and contains a rich amount of antioxidant flavonoids. Real chocolate is really good for you. Flavonoids are plant compounds that give colors to fruits, vegetables and flowers, and protect plants from pathogens. In humans, ingested flavonoids are anti-inflammatory, support immune functions and neutralize free radicals that can damage cells and lead to serious diseases like cancer and atherosclerosis. Flavonoids lower blood pressure and the amount of LDL or "bad" cholesterol by preventing the cholesterol from oxidizing and eventually blocking arteries. Cacao has more flavonoids than most other plants, and its specific flavonoids are rarely found in other plants. Green tea and red wine, legendary sources of antioxidants, have high amounts of flavonoids, but the Pennington Biomedical Research Center says cacao has more flavonoids than any other widely consumed food. Cacao beans have a high percentage of the flavonoids called catechins, which are powerful antioxidants. Antioxidant catechins make up 10 percent of the weight of dried cocoa powder. A study by the USDA Agricultural Research Service in 2005 showed that antioxidants decreased in cacao products in direction relationship to how much processing they received. Natural cocoa powder is processed less than other forms of chocolate and has no added sugar. It retains the highest levels of antioxidants. Dutch-processed cocoa is alkalinized to remove the bitter taste of the cacao bean and loses significant catechins, lowering but not eliminating its antioxidant benefits. Good-quality dark chocolate is made with at least 65 percent cacao and is high in antioxidants. Higher percentages of cacao mean both more astringent flavor and more beneficial flavonoids. Chocolate liqueur, or cacao paste, is the pulverized bean with all its fat content, or cocoa butter. The percentage of cacao listed on your candy bar is the percentage of this chocolate liqueur that is present in the final product. The greater the percentage of cacao, the less room there is in the candy or other confection for sugars, milk and other additives. You get a taste closer to the unprocessed bean as the percentages go up. But foregoing some sweetness may be worth it for the value of the preserved antioxidants in the chocolate. Milk chocolate is where dietary caution kicks in. 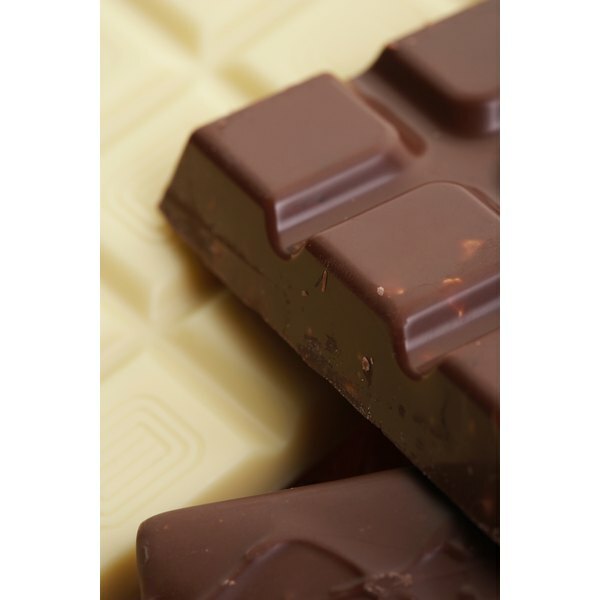 Milk chocolate contains the lowest amount of antioxidants as well as high amounts of milk fats and sugars. The University of California Davis lists the antioxidant capacities of various chocolate products, and milk chocolate does not fare well. Per 100 g, cocoa liqueur has an antioxidant capacity of 40. Dark chocolate, on average, has an antioxidant capacity of 13.1 — higher with a greater cacao percentage. Milk chocolate has a modest capacity of 6.7. Milk chocolate should be considered candy and treated like a calorie-dense sweet. 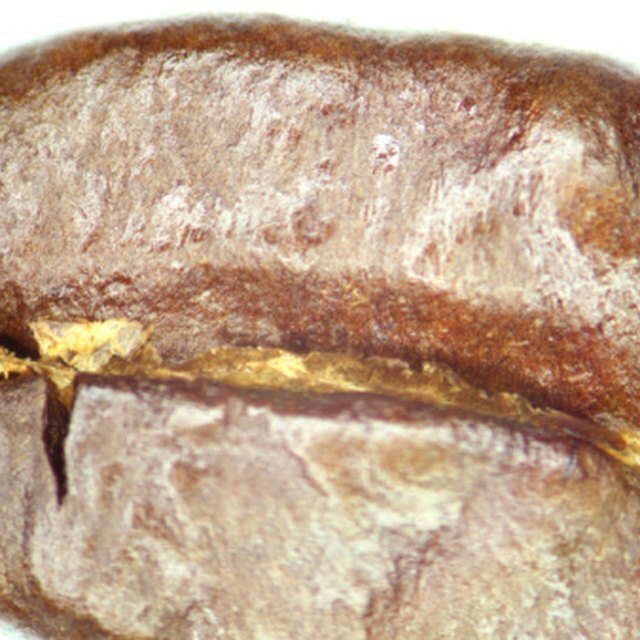 University of California Davis; Catechins; Karrie Heneman, et al. How Does Chocolate Affect the Nervous System?